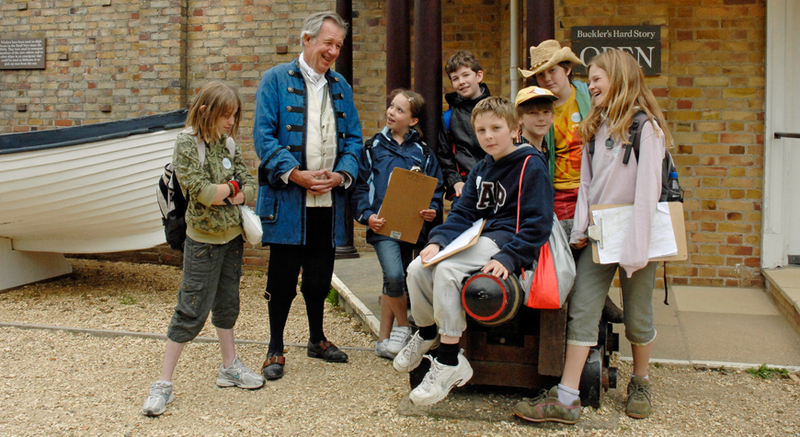 Buckler's Hard offers an exciting range of award-winning educational programmes, offering something for every school group, including those with special educational needs. Our adaptable programmes are hosted by friendly, knowledgeable and experienced staff and can be tailored to suit your needs and schedule. They are perfectly suited to the new themes in the history curriculum, such as significant historical events, people and places in the locality, British history beyond 1966 and Geography. Don't forget to talk to our friendly education team about complementary programmes at our sister attraction, Beaulieu. 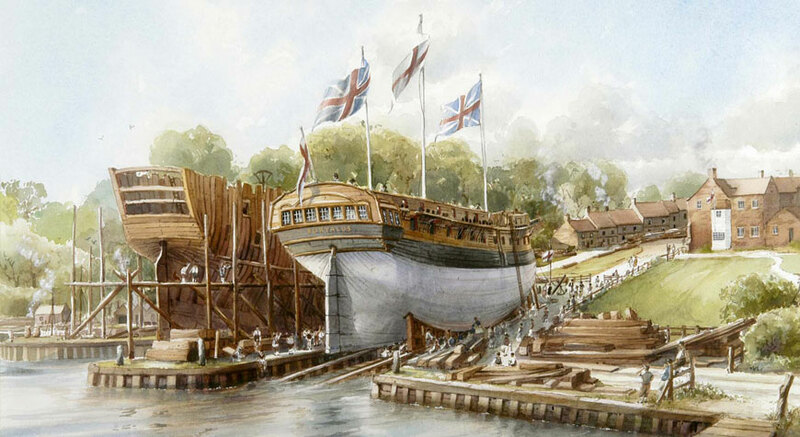 Were there smugglers at Buckler's Hard 200 years ago? Look for clues about what might have taken place, assess the evidence and find out what preventative measures were taken. How and why did Buckler’s Hard develop from a small landing place into a famous shipbuilding centre? Find out how the ships were constructed and see the launchways where they were built. Discover what life was like in an industrial settlement in the 1700s. 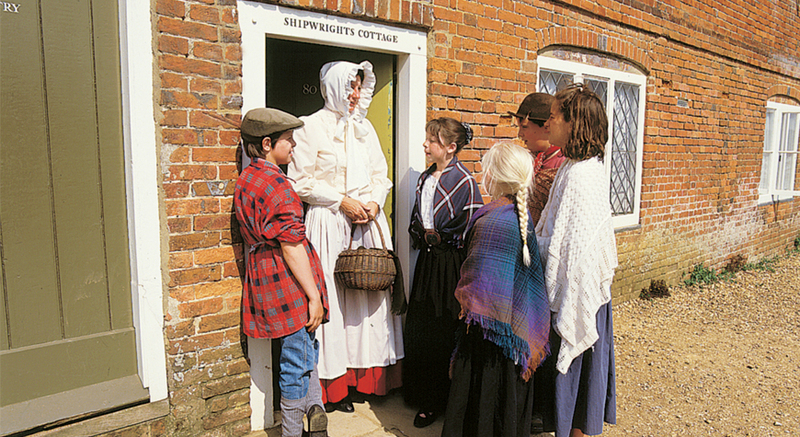 Role play tours in which the children take the part of 18th century visitors to see the village where ships for Nelson’s navy are built, including his favourite Agamemnon. 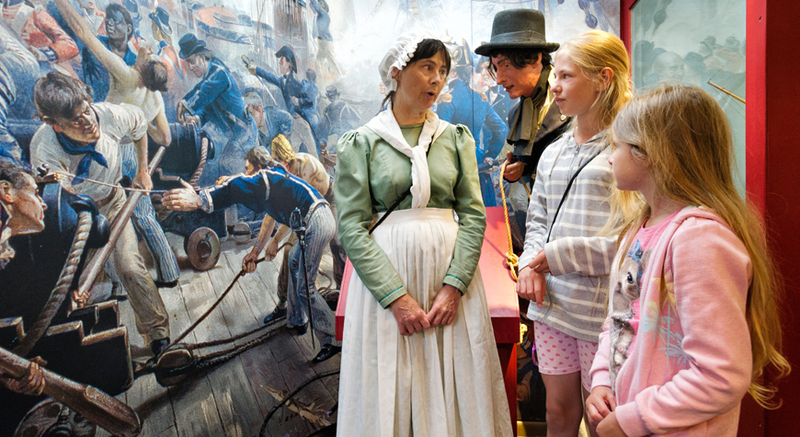 Learn about Nelson, Master Shipbuilder Henry Adams, the cat-o-nine-tails, and more about life in the 18th century village. Develop pupils’ social skills as well as their academic studies as they work together to complete these activities. communication, literacy and technology skills. photo-journal, advert or poem. Bring your school tablets and find the material to make a film or documentary back at school. Use maps to follow an offline puzzle trail around the Beaulieu Visitor Complex or Buckler’s Hard Historic Village. Working together in teams, pupils learn to use co-ordinates and code-breaking to reach the target location. Download your own copy of the latest Buckler's Hard Education Brochure. Get in touch to discuss your needs or request our free Education Brochure. The Buckler's Hard education team has held the Sandford Award continually since 1978. Groups must include at least 15 children to qualify for our education programmes. When the booking has been made, teachers are invited to make a free preliminary visit, plan their visit and carry out necessary risk assessments. These visits must be booked in advance and any accompanying guests must pay the standard admission fee. We can tailor any of our programmes to suit your requirements. Teachers remain responsible for the wellbeing and discipline of children during the visit, and groups must be supervised at all times at a ratio of one adult per eight children.